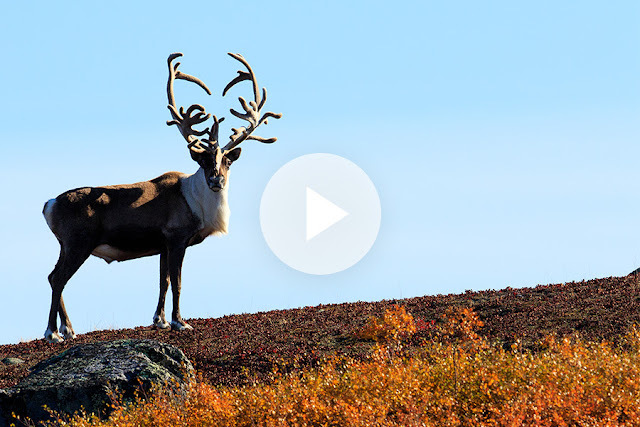 EXPOSED with John E. Marriott, Episode 4: Searching for Caribou in the Arctic Barren Lands is now online! Episode 4 is now online at www.exposedwithjohnemarriott.com! Join John for a week-long adventure into the heart of Canada's barren-land Arctic searching for caribou and northern lights. You'll discover first-hand what it's like to be along on one of John's photo trips 'North of 60' into the vast Arctic wilderness and you'll meet the infamous Alfred along the way. Enjoy! Don't forget that you can catch all of our episodes, including the Meet John E. Marriott introduction, online on the website, www.exposedwithjohnemarriott.com or on our YouTube channel, EXPOSED with John E. Marriott You can also follow along with updates on our Facebook page. Stay tuned for our fifth episode next month, as we take you on a magical journey into the heart of the Great Bear Rainforest in search of the elusive white spirit bear.